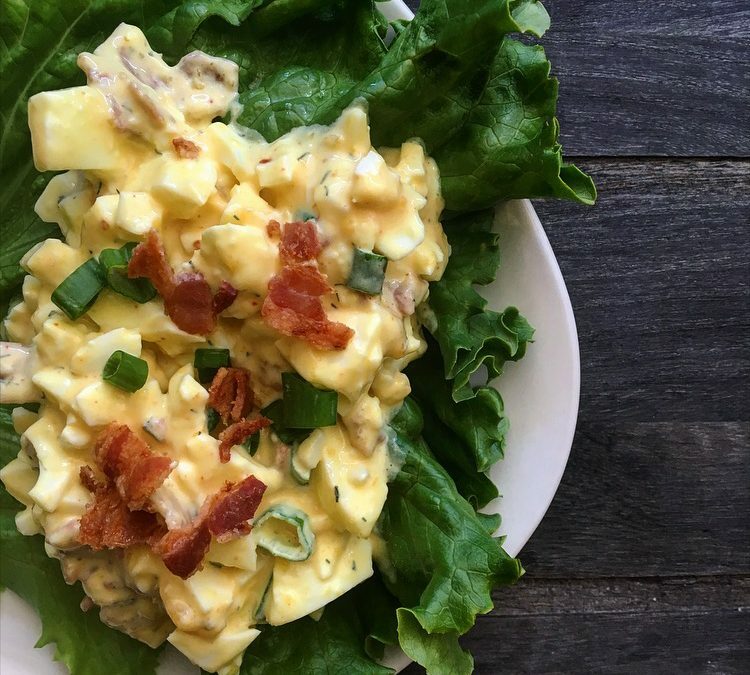 Egg salad in an American classic and easy favorite any time of year. By adding a twist with Applegate Farms turkey bacon, you can enjoy this recipe for breakfast, lunch or dinner. Using Applegate Farms products will ensure a product without added harmful ingredients and animals that are raised and fed properly. 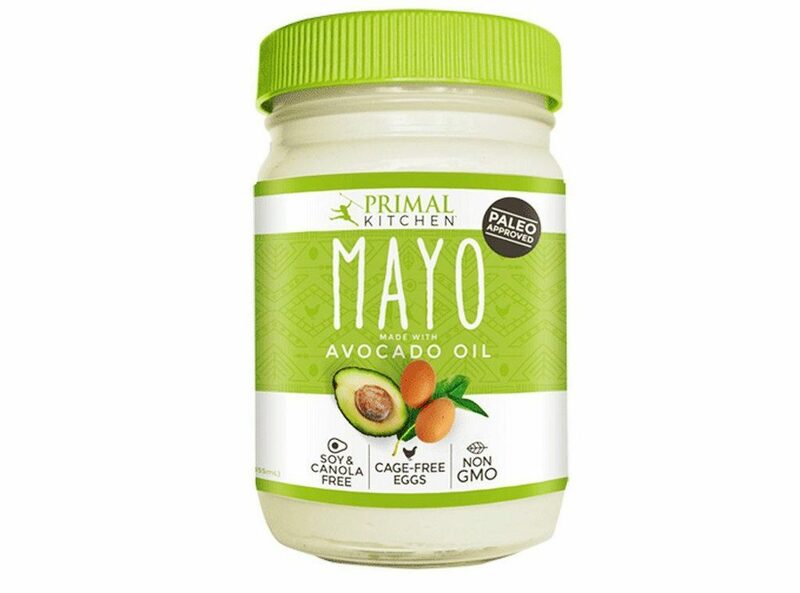 Primal Kitchen now makes an amazing mayonnaise made with avocado oil, too, which provides an even greater health benefit. Wrap your egg salad in a lettuce wrap with tomato or on a plate on top of vegetables and torn lettuce. There are three servings in this recipe. One serving equals 1 serving of protein and 1 serving of fat. Cut the turkey bacon into pieces and fry in oil over a heated skillet until crispy. Set aside. Mix mayonnaise, mustard and red onion to chopped eggs, mashing and mixing well until the desired consistency. Season with sea salt, pepper and cayenne. Fold bacon pieces in gently.